The Philippines enjoys a highly vibrant and diverse civil society sector. Individuals and groups working on sensitive issues, including extra-judicial killings, labour rights, land and the environment, are often subjected to harassment, intimidation, raids by authorities, and violence. The legal and operating environment for civil society groups in the Philippines is generally favourable. Groups are not required to register with the government, and many choose not to. The government has made efforts to engage the sector in good governance programmes (such as its Fully Disclosure Policy) and on budget preparation. There are no barriers to foreign funding, or overly burdensome reporting requirements. Nonetheless, individuals and groups working on sensitive issues, including extra-judicial killings, labour rights, land and the environment, are often subjected to harassment, intimidation, raids by authorities, and violence. International watchdog group, Frontline Defenders, reported that 31 human rights defenders were killed in 2015, constituting 60% of the total number killed in Asia, and making the Philippines the second most dangerous country for HRDs in the world, after Colombia. Assemblies are commonplace in the Philippines, although a permit is required under the Public Assembly Act (1985) and must be applied for 5 days before the planned assembly. Assemblies are commonplace in the Philippines, although a permit is required under the Public Assembly Act (1985) and must be applied for 5 days before the planned assembly. Excessive force in the policing of assemblies is not uncommon. On 1st April 2016, police dispersed a protest by farmers seeking food aid in Kidapawan City. Police deployed water cannon and batons, and used live ammunition, resulting in the deaths of two protestors, and injuries to many others. A report by the Commission on Human Rights found the force used to be excessive. 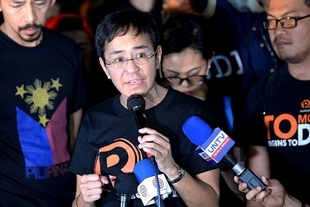 The constitution protects freedom of expression and Philippine media is vibrant, despite the fact that libel and defamation remain criminal offences. The constitution protects freedom of expression and Philippine media is vibrant, despite the fact that libel and defamation remain criminal offences. However, the Philippines is one of the deadliest countries in the world for journalists, with more killings between 1992 and 2015 than any country except Iraq and Syria. Journalists are frequently subject to harassment, threats, stalking, illegal arrests, raids on their outlets, and murder. Impunity is entrenched; for example, trials relating to the 2009 Maguindanao massacre in which 32 journalists were killed, continue to stall. President Rodrigo Duterte, who came to power in June 2016, has made conflicting statements concerning his commitment to upholding press freedoms and the rights of journalists. While he has issued a freedom of information order which promises journalists unprecedented access to central government records, he has also made statements in which he appears to condone the killing of journalists, suggesting that that "most" slain reporters had "done something" to deserve such persecution.